The Moto G has remained a favorite among budget buyers, combining high-end performance and features with great build quality and a wallet-friendly price. 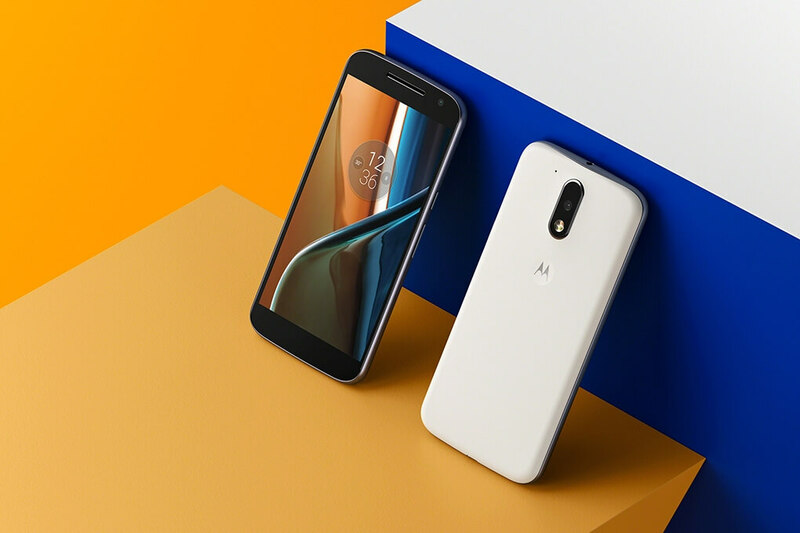 Today the company is releasing not one but three different models as part of its fourth generation Moto G lineup: The Moto G, Moto G Plus and Moto G Play. On the outside the Moto G4 and Moto G4 Plus look mostly the same, with a rounded metal frame and rubber back cover for a nice grip. Spec-wise there are also a few similarities to be found, including the 5.5-inch full HD TFT display coated in Gorilla Glass 3, 3000mAh battery, 5MP front facing camera and Qualcomm Snapdragon 617 processor. Storage options go from 16GB to 32GB with 2GB of RAM on the Moto G and from 16GB to 64GB with 2GB or 4GB of RAM on the Moto G Plus. The Moto G Plus does offer a few extra perks to justify its name, though. While the standard Moto G has a 13-megapixel camera, the Plus bumps that up to 16 megapixels and adds a laser-enabled autofocus for faster focusing. Apparently, the independent image analysis company DxOMark has rated the Moto G Plus' photo quality ahead of iPhone 6S, iPhone 6S Plus, so we’re eager to test that out for ourselves. The G4 Plus is also equipped with a fingerprint scanner on the front, which Lenovo claims can unlock the phone in less than 750milliseconds, and comes with a TurboPower charger in the box for fast charging. The third device is the Moto G Play, which dials things down to a 5-inch 720p display, Snapdragon 410 processor, 2GB of RAM and only 8GB and 16GB storage options. The camera is also downgraded to 8-megapixels and the battery to 2,800mAh. On the software side, Lenovo is thankfully keeping the same clean Android experience of past Moto G devices with Android 6.0.1 Marshmallow out of the box. The trio of devices should help the company stay competitive in the mid-range segment of the market amid increasing pressure from Chinese manufacturers like Oppo and Xiaomi. Unfortunately Lenovo isn’t sharing pricing and availability information for the U.S. just yet. The Moto G and Moto G plus are launching today in Brazil, with only the Moto G Plus arriving in India exclusively on Amazon tonight. The devices will launch in Europe next month with UK pricing starting at £169 (about $243) for the Moto G and £199 ($286) for the G Plus. The G Play will arrive later in the summer with pricing to be announced then. Full specs for all three phones can be found below.